In celebration of Black History Month, the Royal Canadian Mint have announced that its very first Black History Month coin pays tribute to Canadian civil rights pioneer, Viola Desmond. In 1946, Ms. Desmond was arrested and later tried after refusing to sit in a segregated area of a New Glasgow, Nova Scotia movie theatre. It became a catalyst for equal rights in Canada. 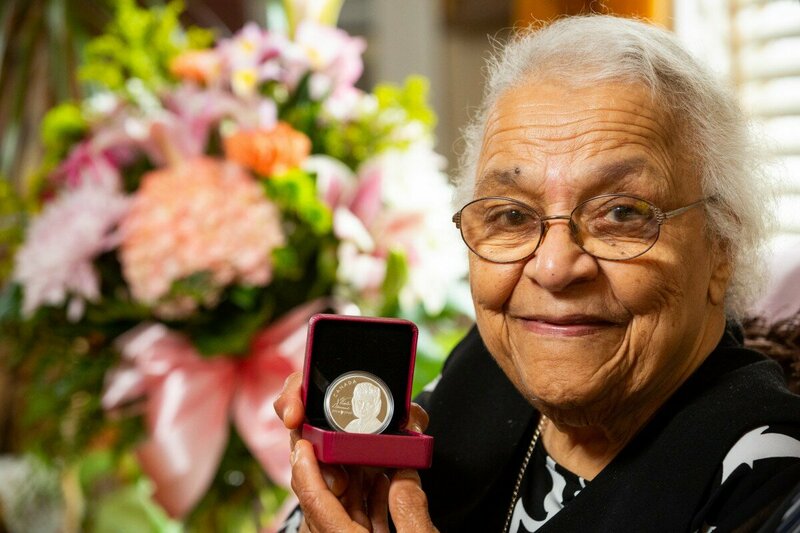 Ms. Desmond’s exceptional legacy is now preserved on a 99.99% pure silver coin, to be issued in time for the 105th anniversary of her July 6, 1914 birth. Working with Wanda Robson and her husband Joe, Mint engravers adapted the famous portrait of Viola Desmond to design the 2019 $20 fine silver coin crafted in her memory. Her image is accompanied by a double date separated by a stylized heart evoking the pendant she wore in her iconic photograph. Ms. Desmond’s signature adds yet another personal touch to the design of this coin which is accompanied by a new $10 Viola Desmond banknote. The origins of Black History Month are traced to Harvard-educated African American historian Carter G. Woodson who, in 1926, proposed setting aside a period of time to honour the accomplishments of African Americans and raise awareness of Black history. A similar observance soon followed in Canada. After the unanimous approval of a motion proposed by Senator Donald Oliver in February 2008, the month of February was officially declared Black History Month in Canada.